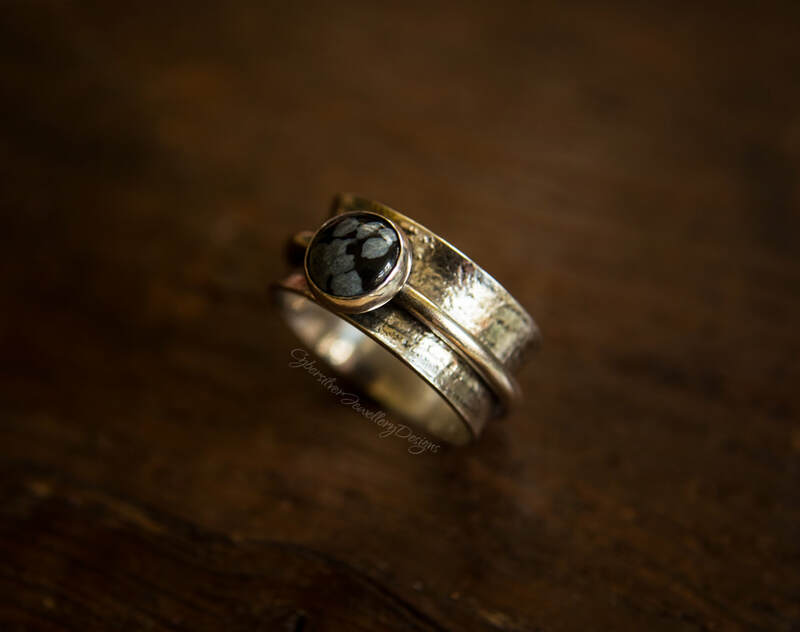 A beautiful silver spinner ring entirely handmade in my Oxfordshire studio. Essentially two rings in one, the outer ring spins around the wide inner band. The inner silver band is textured, polished and lightly oxidised. The outer spinning ring is set with a lovely snowflake obsidian gemstone. The ring is gently curved which makes for a comfortable fit.